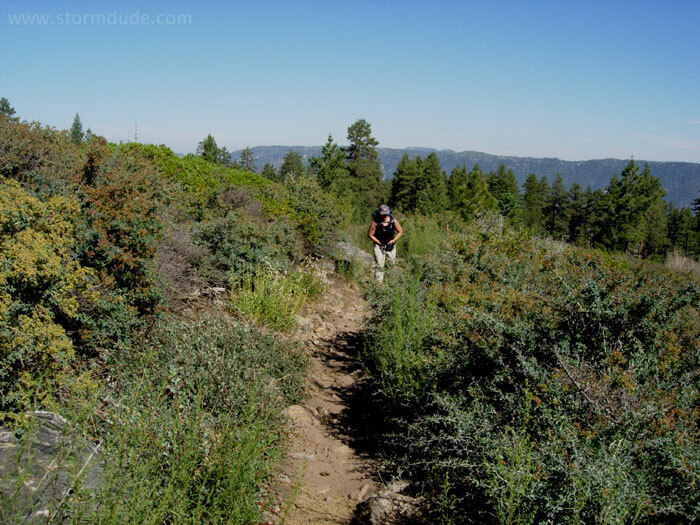 Pam's first backpacking trip is into the high country of the San Bernardino Mountains. 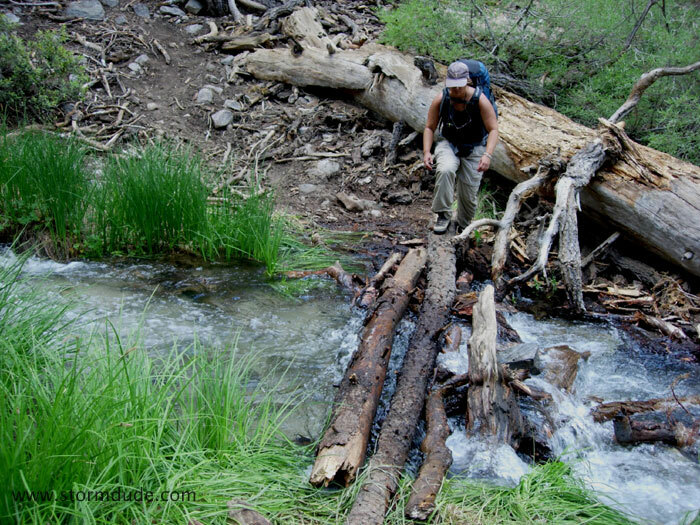 Unstable logs and a fast-moving creek make this a somewhat challenging crossing for a first-time backpacker. 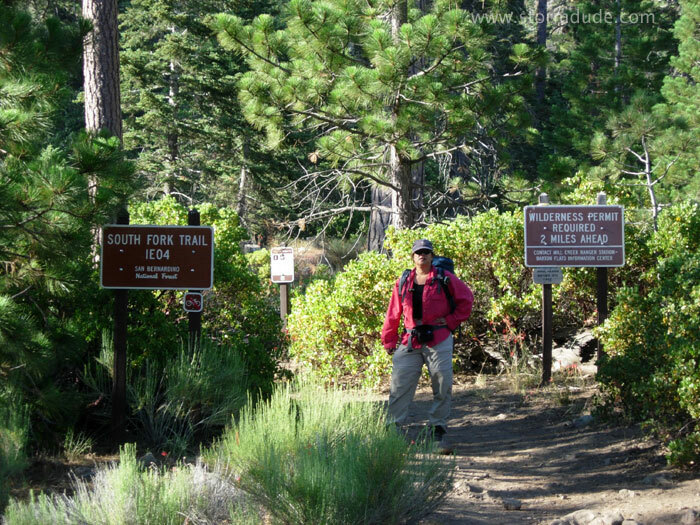 Later that morning we get our first view of San Gorgonio Peak (elevation 11,500'). 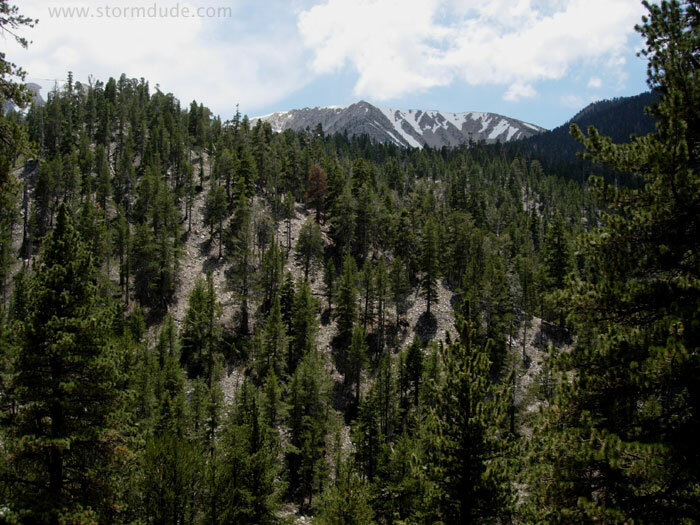 Snows still covered the trail to the top, but a similar backpack two years later offered snow-free conditions (see below). 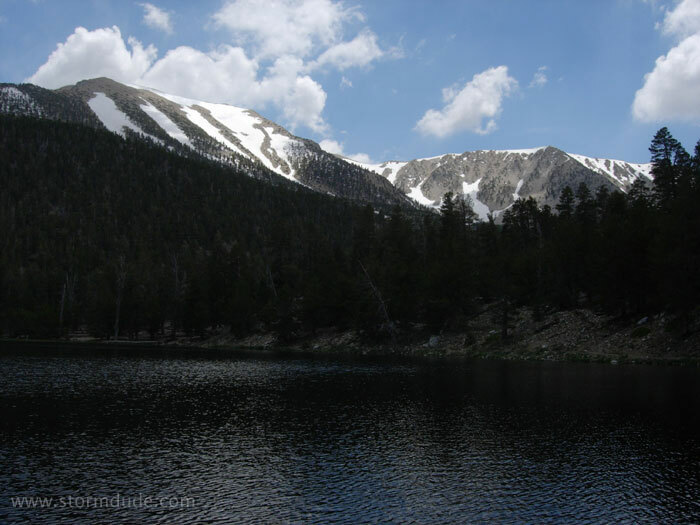 Early that afternoon we reach Dry Lake (elevation 9,100'), which is full due to run-off from near record snows of the prior winter. 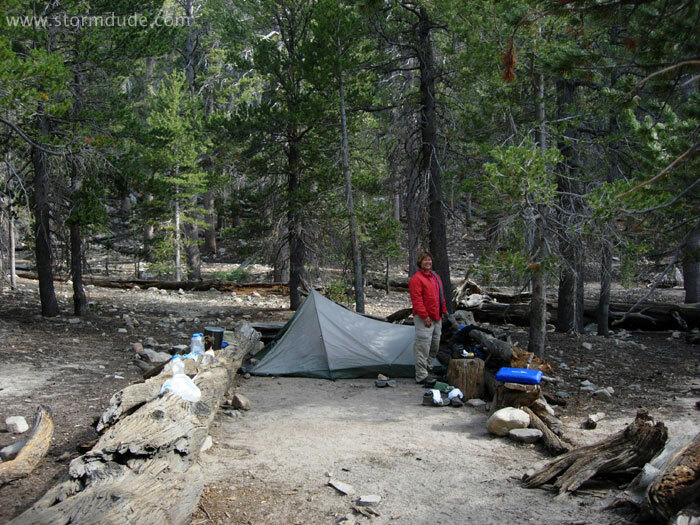 Comfortable campsite in Lodgepole Springs area on the northern end of Dry Lake. Very quiet, except for a group of high school kids from a nearby summer camp. (A quieter spot can be found closer to the spring). Addition from July 25, 2007: 12-mile dayhike to the top of Mt. 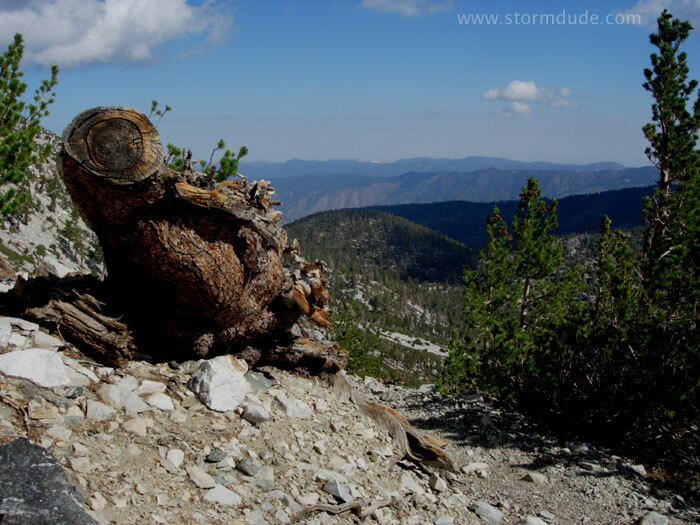 San Gorgonio during a warm-up trip for the Sierras. 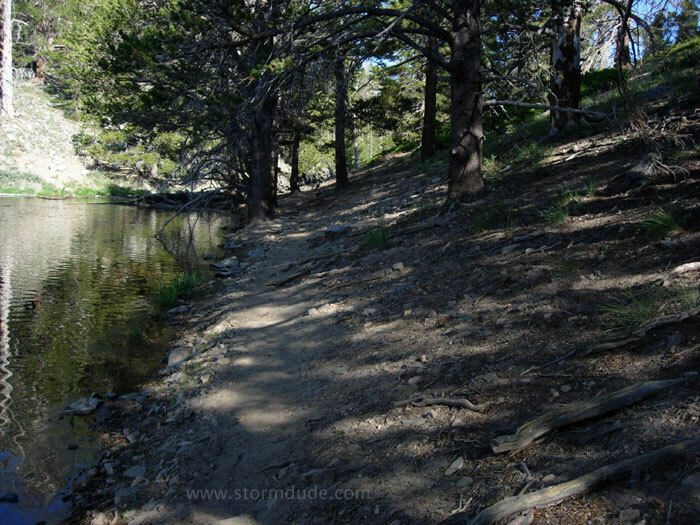 Despite an extremely dry year, Lodgepole Spring had good water flow. 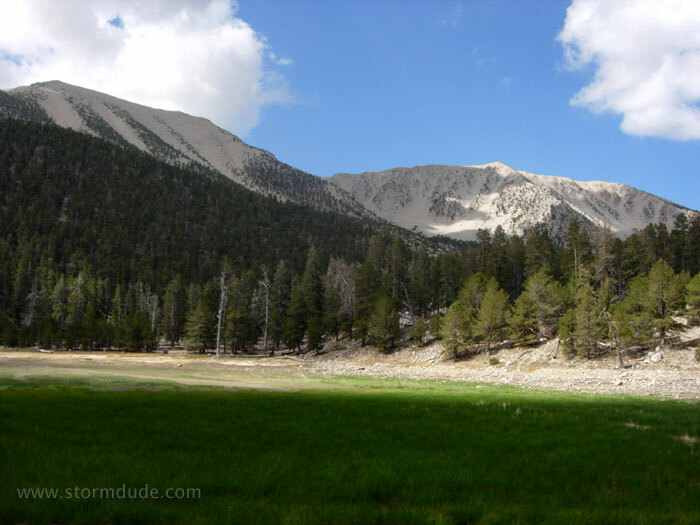 Here is Dry Lake from July 24, 2007. 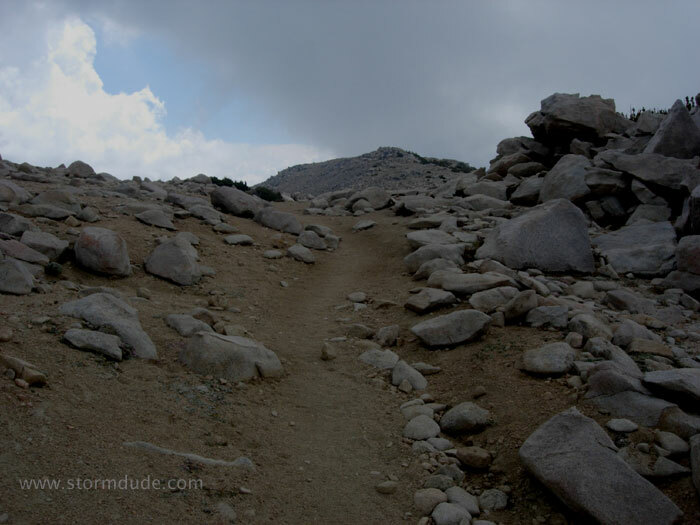 The trail to Mt. 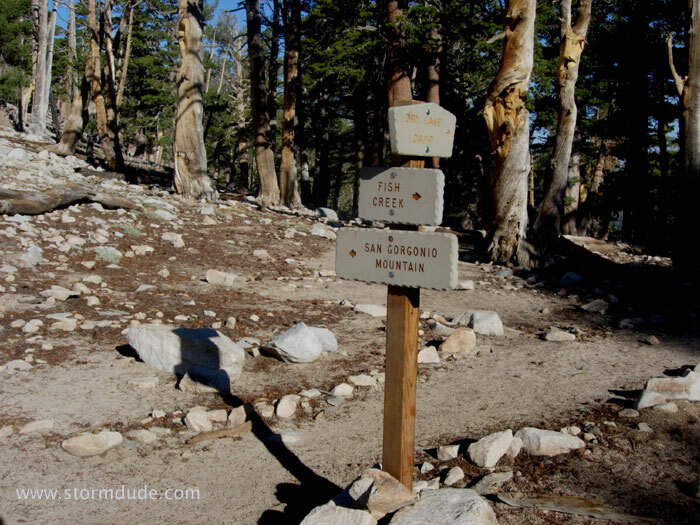 San Gorgonio goes part-way up the wash above Dry Lake, up to the adjacent ridge, then climbs to this trail crossing at 9900'. 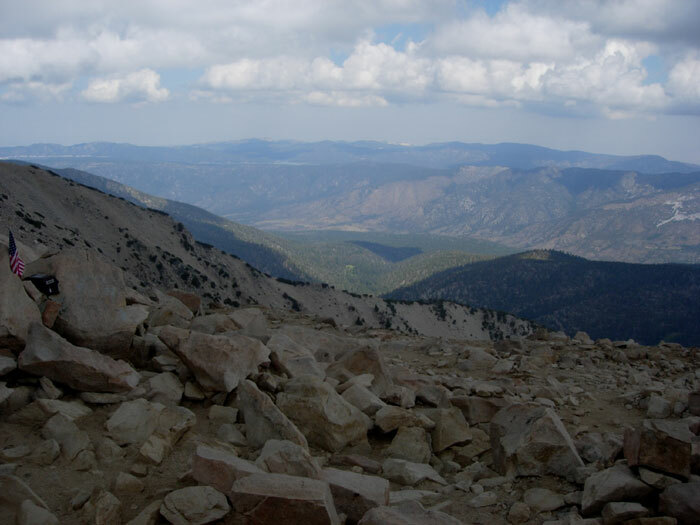 View from around 10,000', looking north towards Big Bear. 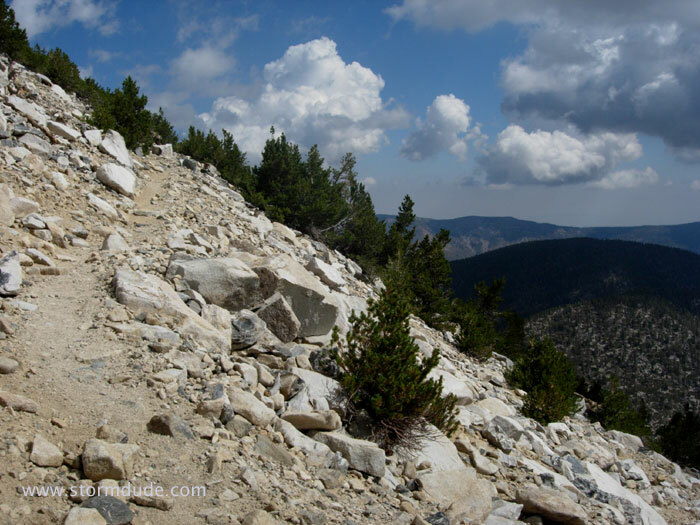 Switchbacks up the east face of the mountain on a well-maintained trail. 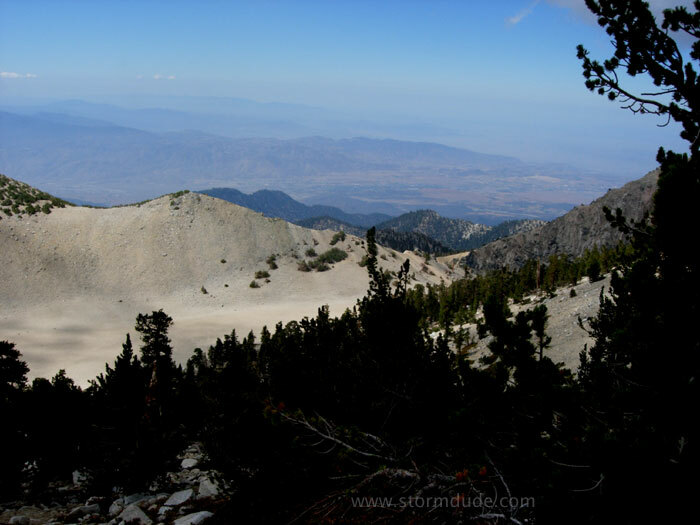 Looking southwest as the trail swings around the south side of San Gorgonio. Looking east near the top. 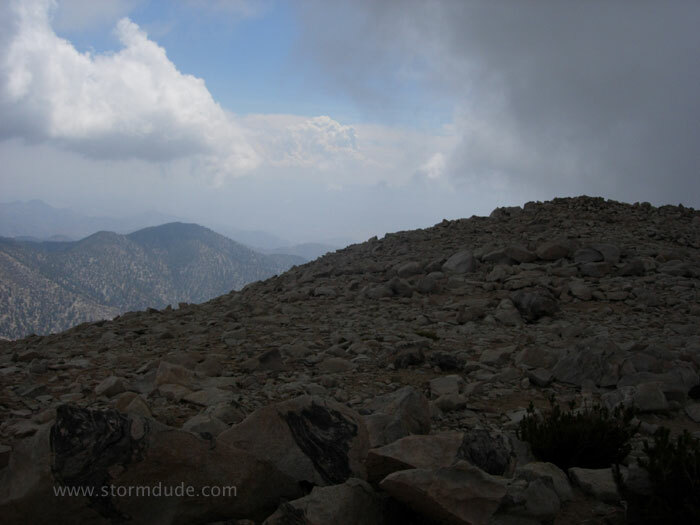 With the incredible Sierras a few hours drive to the north, it's easy to forget that there are some worthwhile mountains around L.A.
At the top of the highest peak in Southern California. 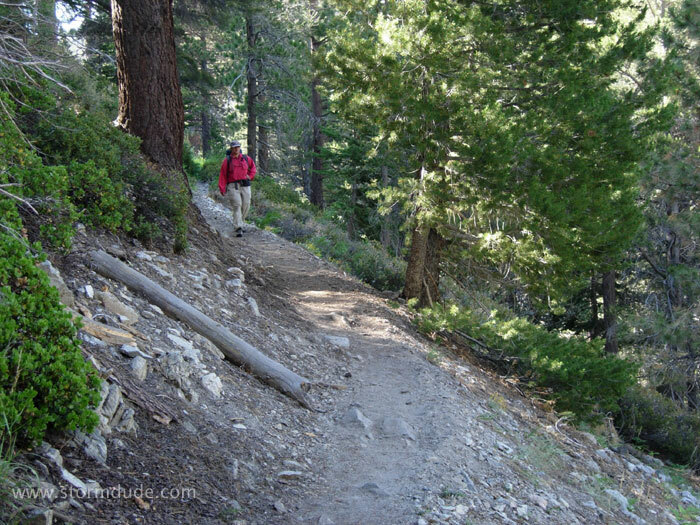 This is a fun dayhike when doing it on a two-night backpacking trip to Lodgepole Springs, with the altitude providing excellent conditioning for the Sierras. 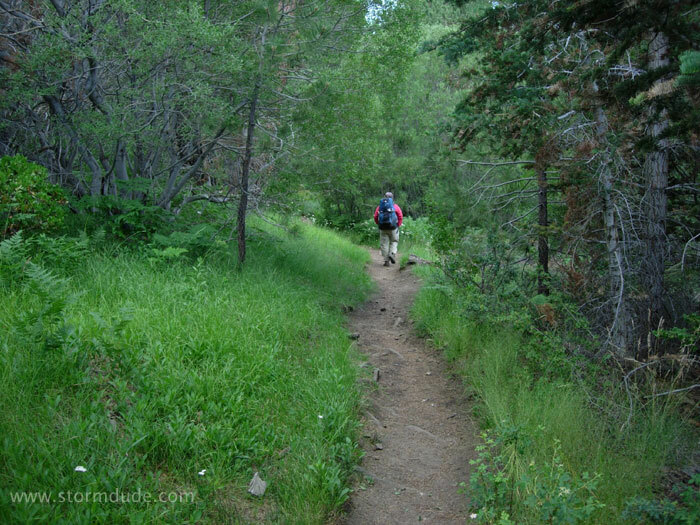 Back to 2005: Return trail along Dry Lake. Back across the more difficult of the two streams we crossed on this trip. 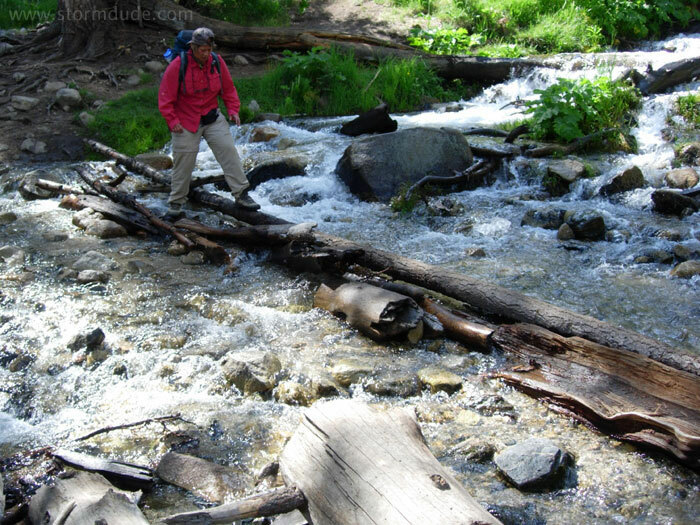 The strong flow of 1-3 foot deep water made this tricky log crossing the best option. Dropping to below 8,000' on a mild summer day. 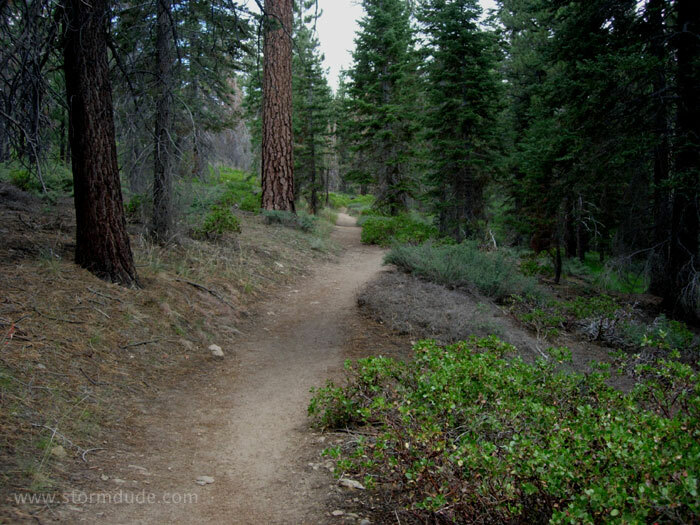 Pleasant trail through the forest. 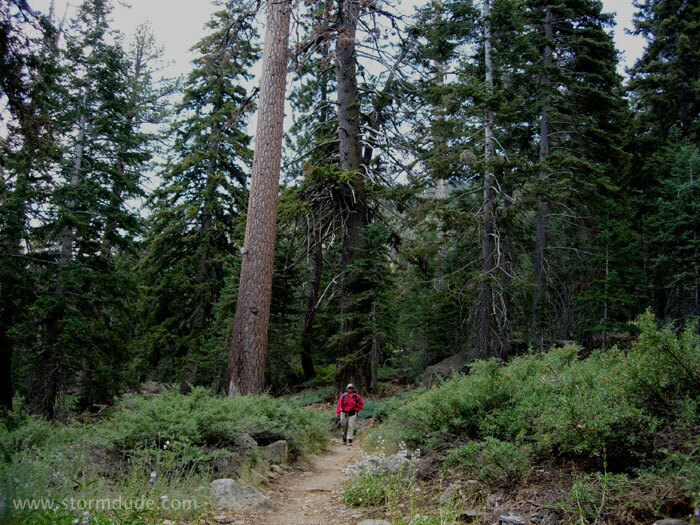 Nearing the trailhead after Pam's successful (though short) first backpacking trip.